If you have hard water in your home, then you will definitely have limescale buildup on your kitchen and bathroom fixtures. 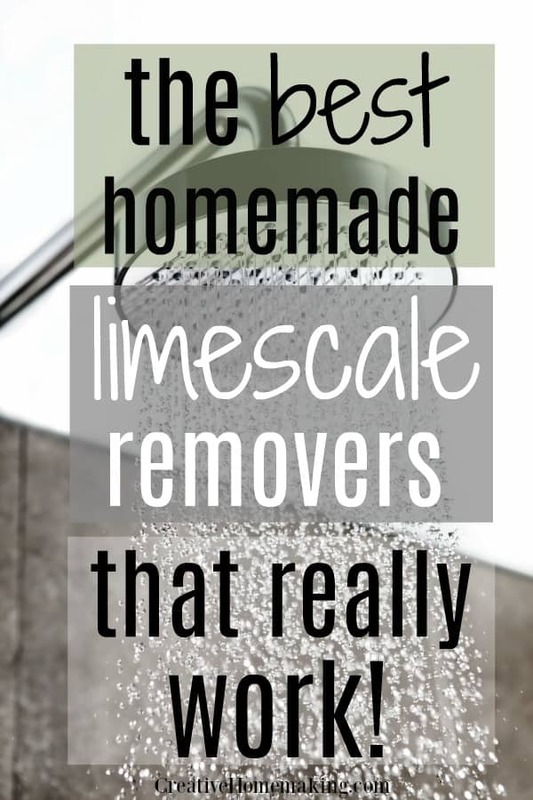 Limescale is not easy to remove, and many people use chemicals such as CLR to remove it, but there are also some natural homemade limescale removers you can consider that clean just as well as CLR. According to Wikipedia, limescale is a whitish chalky deposit commonly found in tea kettles and on the inside of your hot water pipes. Limescale is mostly composed of calcium carbonate, which can be very difficult to remove from your kitchen and bathroom fixtures. 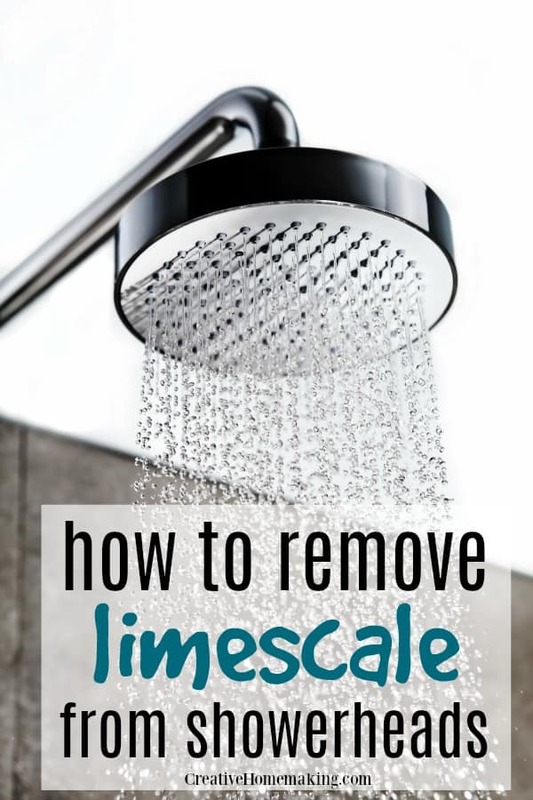 Limescale will not harm your health, it is a natural substance that is not bad for you, but it may dry out your skin. However, limescale is bad for your plumbing and fixtures, and let’s face it, it looks pretty terrible. If you let too much limescale build up, it can actually block your pipes. Unfortunately, the only way to prevent limescale build up is to install a water softener or you can also install filters in some of your fixtures that will also soften your water. To remove limescale and hard water build up from your shower head, cut a lemon in half and rub it on the shower head. Let it sit for about an hour, then scrub the limescale off with an old toothbrush. White vinegar can also be used to remove hard water deposits on your shower head. Fill a quart sized ziploc bag part way with vinegar and place the shower head in the bag, securing the bag around the shower head with a rubberband. Let the shower head soak in the vinegar overnight, then rinse the next morning. 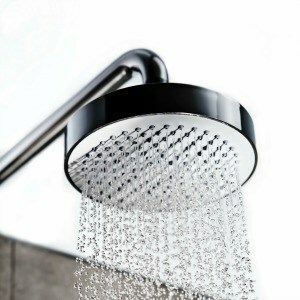 You can prevent limescale buildup on your shower head by purchasing a shower head filter for hard water. For cleaning shower doors, check out these tips for removing hard water from glass shower doors. Limescale can be removed from your sink faucet similarly as you would clean it from the bathroom shower head. Make a solution of half white vinegar and half water. You can also use lemon juice in the place of the vinegar. Soak a kitchen towel in the vinegar or lemon juice solution and wrap the towel around your kitchen or bathroom faucet fixture. Let sit overnight and rinse the next day. Scrub with an old toothbrush if necessary. Note: do not use vinegar or lemon juice on plated fixtures, as the acid may remove the finish on your faucet. White vinegar can also be used to remove hard water stains from your toilet. Pour 4 cups of vinegar into the toilet bowl and let it sit overnight. The next morning scrub the toilet well with a scrub brush. If you have a stubborn ring inside your toilet you can’t get rid of, try using a little piece of sandpaper to rub that ring left by hard water. You can also use a pumice stone to easily get rid of toilet rings. You will also want to use white vinegar to clean your bathroom tiles. Mix together two cups water and one cup vinegar in a spray bottle. Spray onto your bathroom tiles and scrub with a tile brush. Removing hard water stains from glass can be tricky, but it can be done. Limescale can be removed from glass by using a combination of white vinegar and baking soda. Combine an equal amount of water and white vinegar in a spray bottle. Let the vinegar mixture sit on the glass for a few minutes then wipe with a clean cloth. For any stubborn spots that still remain, make a thick paste of baking soda and water and apply the baking soda mixture to the areas of glass that still have limescale on them. Rinse the baking soda off with a wet rag, then wipe with a dry lint free cloth.